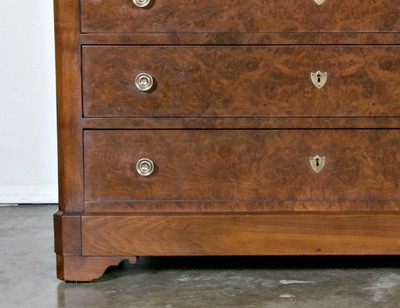 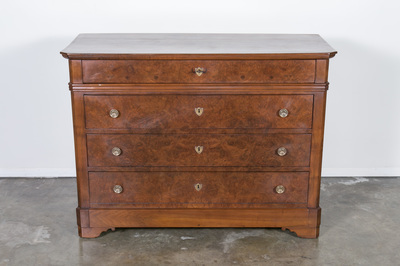 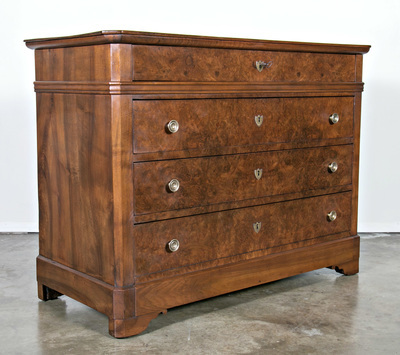 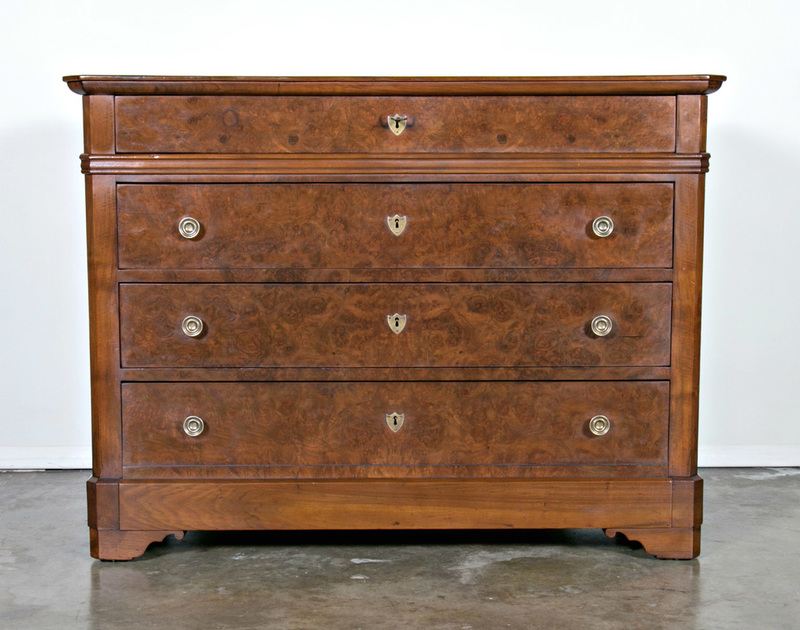 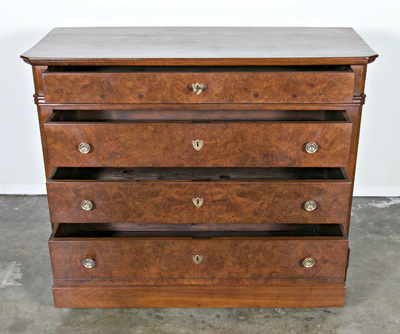 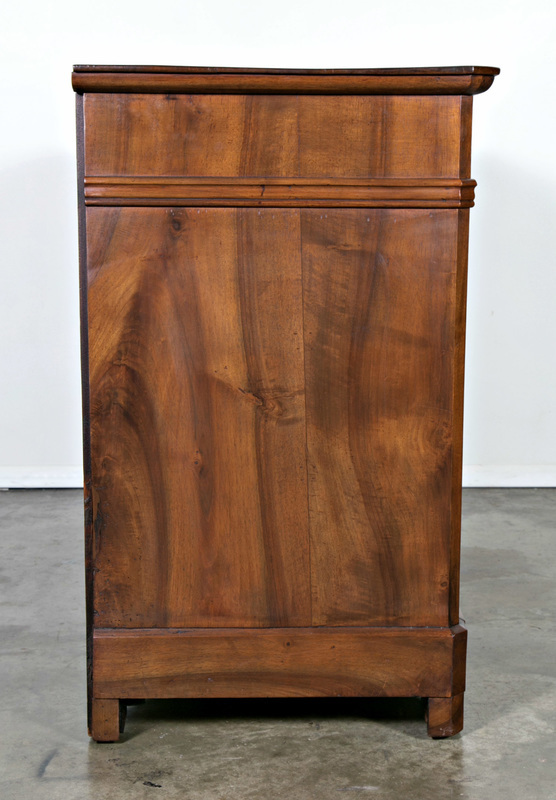 A handsome French Louis Philippe pantaloniere commode of solid walnut with a bookmatched burled walnut front. 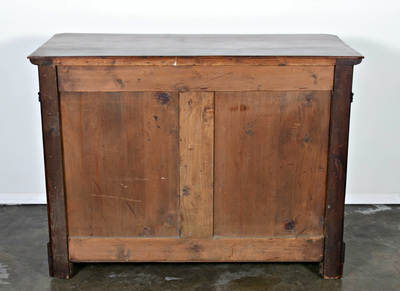 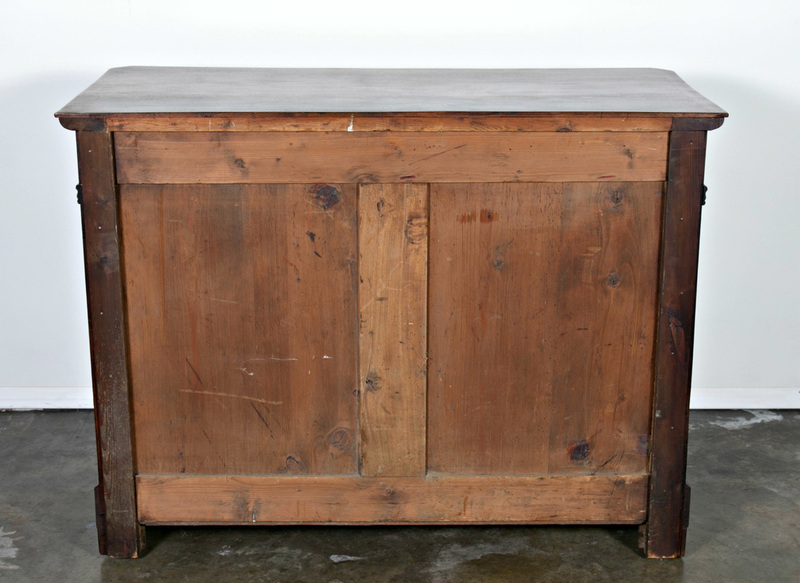 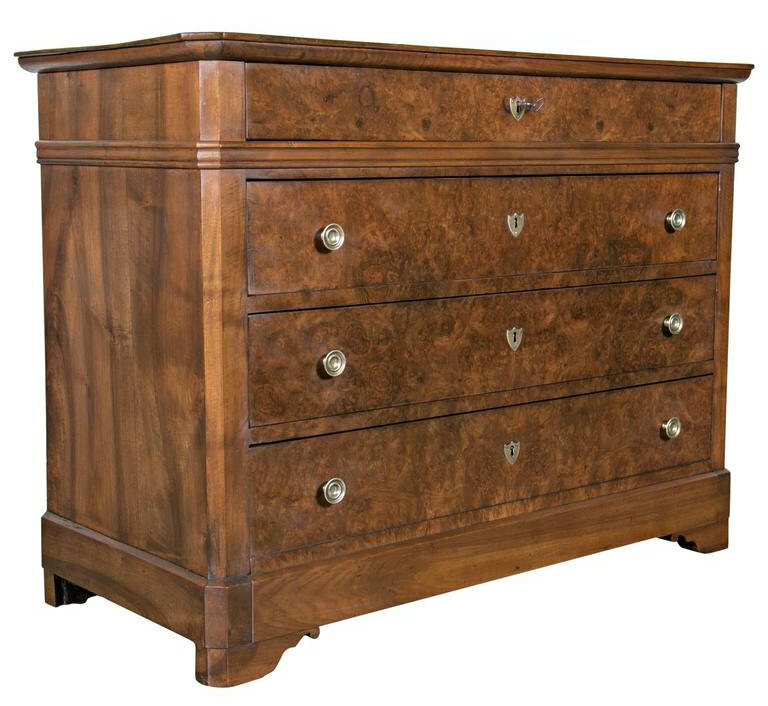 Featuring four fitted long drawers with the bottom drawer being extra deep for men's trousers, resting upon shaped bracket feet. 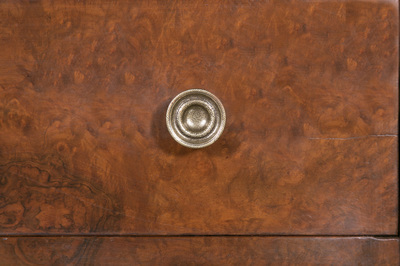 The three lower drawers have a pair of circular pulls with a center brass chevron escutcheon that identifies the keyhole. 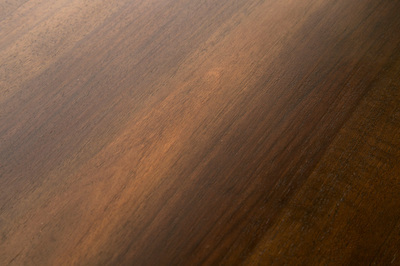 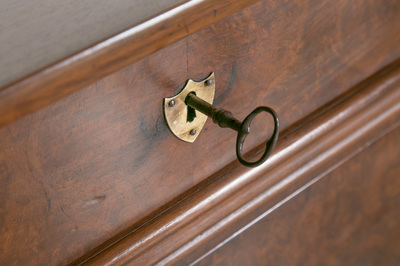 Not only decorative, the escutcheons protect the wood from the iron key when it is inserted into the lock. This handsome commode, handmade by skilled craftsmen from the Loire Valley, retains its beautiful rich, original color and patina and has a fresh French polish. 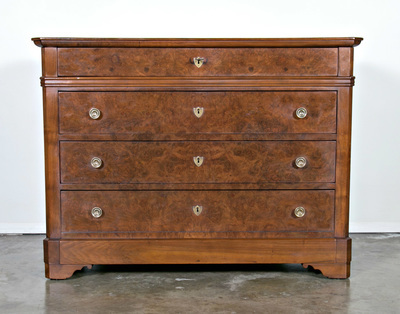 Louis Philippe style is refined, linear and restrained. 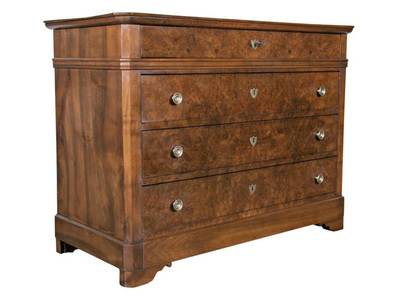 The strong, bold lines of Louis Philippe pieces make them an easy fit into an existing home. 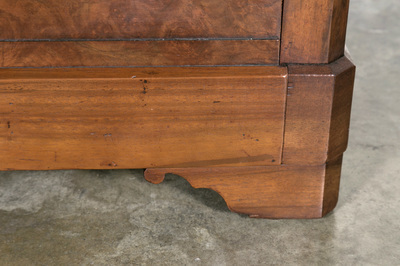 They mix with other periods and styles flawlessly.